The holidays are just around the corner and many Realtors will tell you that the last quarter of the year is often their best for closing sales. Homeowners might think that it’s best to wait until the start of next year to put their house on the market and yet the last couple of months of the year are a good time to sell because there is less inventory and more serious buyers, and tax benefits as well. 1. Get a Staging Professional 3rd Party Opinion. A Stager is not tied to the sale of the house and what is shared is received as truly objective. A professional Stager is going to be honest about any changes that need to be done in the house from simply packing up excess to painting, updating, and rearranging. They will create a specific plan of action and are available to help the seller implement it if needed. If you are a Realtor® having a Stager interface with your Sellers will save you time and energy and allow you to focus on what you do best – getting more business. 2. Fall warm décor is always a good visual. The warm tone colors of the gourds, cornucopias, and fall leaves are always a nice addition to a home. Just remember “less is more” – so have one centerpiece on a table that is the highlight and keep all the smaller décor additions packed this year. A nice seasonal wreath on the door is nice, and warm snuggly throws on a couple of pieces of furniture add a layer of texture and visual appeal. Just because it’s cold outside does not mean it has to feel cold inside. 3. Keep holiday décor to a minimum. This cannot be the year you pull all your treasured décor and holiday collections out and display it throughout the house. The items might be wonderful to you but to a potential buyer they are a distraction either because the buyer will be looking at all your holiday treasures and not your house, or they will be hiding some key selling feature like a fire place mantel or countertop. Remember not to put out anything that identifies your family – children’s names should never be on display which means maybe this year you wait to hang your stockings until Christmas Eve. 4. Not everyone celebrates your holidays. We want the house to appeal to ALL buyers. If you know 100% that the buyer for your house is your same faith and will celebrate the exact same way you do then by all means leave all your items out. Fact is none of us know who the buyer is going to be until it happens. Don’t give them any reason not to buy YOUR house. There are many faiths out there so whatever yours is you need to eliminate it from the buying equation. Otherwise it can be uncomfortable for a buyer who is viewing all your personal faith items, and they might have a bias against faiths not their own, so putting your things away for a short period of time will help your house sell. 5. Christmas trees need to be in a good spot. If you are determined to put a tree up for Christmas think location, location, location. Maybe you usually place it in a prominent area of your house but now that you are selling that tree will be a visual and physical block for buyers. Make sure that it is not blocking a real selling feature such as a view window or access to your backyard. Remember not to put any ornaments out that are treasures to you – as anything that is out on display is at risk of damage or loss. 6. 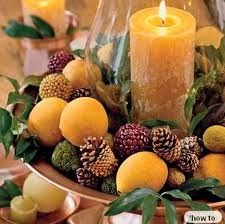 Wreaths, Poinsettias and twinkly lights are good décor options. 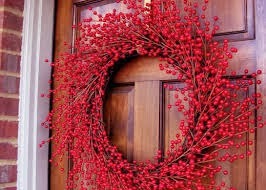 A wreath on the door that is simple and elegant is a good idea. Poinsettias by the front door or displayed on a table to add color are a nice touch. Twinkly lights on outdoor trees and a few touches inside add that winter sparkle. Just remember less is more. Have only one or two on display because there is a point where an item goes from adding a highlight of color to a buyer’s experience to becoming a visual distraction. 7. No presents under the tree early. Presents should not be wrapped and put under the tree early as anything that is left out is at risk of damage or loss. Wait until a couple of nights before Christmas to put those out. They take up visual space for the floor which is the selling feature and the fact is you will have people you don’t know touring your house. As careful as Realtors are to ensure the security of a seller’s things, stuff happens. Be proactive and don’t become a victim. 8. Keep your yard cheerful. The weather is turning colder and in many parts of the country snow will soon cover the ground. Trees are bare and there is a lack of curb appeal with color in most yards. A seller needs to help this situation out by adding color with annuals that like the cold and other splashes of color. Pansies, primroses, and kale are all cold hearty annuals. 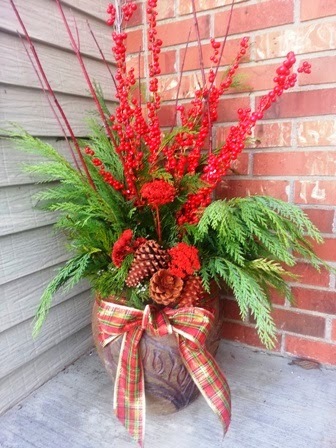 Pine boughs with pinecones and red berries are a nice seasonal touch. Put a few pots of these outside by the front door, by the mailbox and at the corner of your walkway to add some color. Certain berry bush varieties also do well in the cold and add a nice splash of red to the landscape. And remember the twinkly white lights add a little sparkle too. Any lights should be tasteful and not overdone to the point of distraction with either cords hanging in odd or dangerous spots, or are visually distracting. 9. Remove ice from walkways, decks, porches and steps. If you live in an area where it gets icy you need to stay on top of your walkways and yard to eliminate slipping hazards. The last thing you need is for some buyer to slip as they are viewing your house as that could lead to potential financial and legal issues. There are easy solutions for staying on top of the icing issue from salting the ice to scraping it. Remember it’s a temporary inconvenience to help your house sell. 10. Keep your house at a comfy temperature. Keep your house at a comfortable temperature so that buyers will linger and really look around. Buyers don’t want to walk around long if the house feels like an igloo. You might not mind walking around in a knit hat and winter coat, but cold houses are unappealing to buyers. Remind yourself that the heating is for a short period of time in the grand scheme of things. Even if you are not home during the day, keep the heater on and set at a reasonable temperature (68-70 degrees) so that any potential buyers are welcomed with warmth. If you are selling a vacant house it has to be kept warm as well physically and visually – with heating and Staging. Come up with a plan of action for selling your house by working with your REALTOR® on a key strategy to get maximum exposure for your property. Follow the tips above knowing the goal is to help YOU sell your house in the shortest time and at the best price before year’s end. For help in the Denver region getting your house or listing Staged and ready to show, contact Jennie Norris at 888-93-STAGE, 303-717-7918 or http://www.SensationalHome.com. Licensed, Accredited & Insured. Over 2,500 houses Staged since 2002.